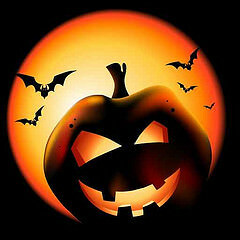 We had some spooky good fun in storytime the last two weeks with our Halloween theme. For this theme, I found I tended to use the same few books over and over because they worked so well. I generally used 2 or 3 of the following books with any given group, depending on their ages and attention span. 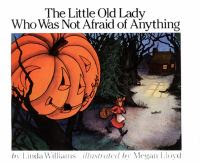 The Little Old Lady Who Was Not Afraid Of Anything by Linda Williams has become a Halloween classic; a favorite of children's librarians, teachers, and children alike. 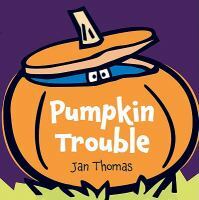 It is a perfect Halloween read-aloud because it is just spooky enough without being too scary for little ones, and is very interactive. I absolutely loved reading this book, so much so that I bought my own personal copy to be sure I always had it available for storytime. Even the classes who had already read it before I came to see them wanted me to go ahead and read it again most of the time. I highly recommend it. 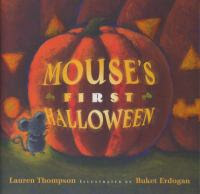 Another book I used frequently, especially for the younger classes, was Mouse's First Halloween by Lauren Thompson. I like all the books in this series, and this one was good for letting the kids guess what the things mouse encountered were, without being so easy that the kids would yell it out the second I turned the page. I also like that it showed how things may seem scary at first, but then they really aren't. Snappy Little..... pop-up books are always a hit of course, and the Halloween one was no exception. What's In The Witch's Kitchen? by Nick Sharratt is a neat lift a flap book with each flap being able to be opened from two different sides, with one revealing something yummy like toffee popcorn, and the other something yucky like slimy frog spawn, using rhyming (or almost rhyming) words. One caveat, two of the pages show goblin's pee and rabbit poop, which of course the kids think is hilarious, but some adults might object to. 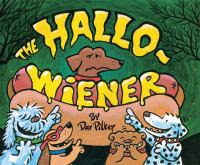 Another classic is The Hallo-Wiener by Dav Pilkey. 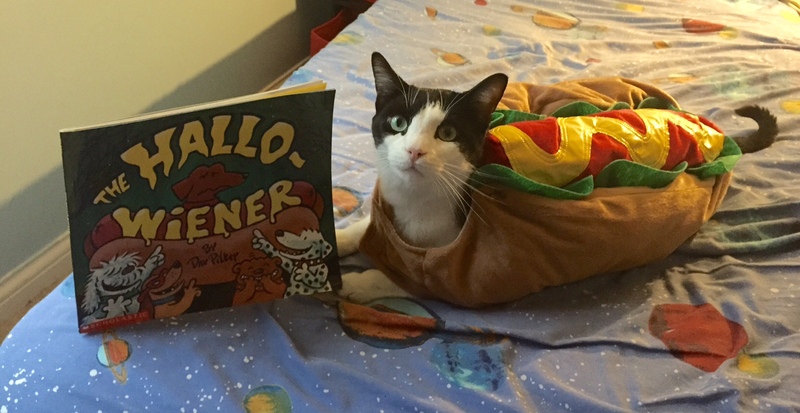 This book is very funny and employs several obvious (to adults) hot-dog related puns as it tells the story of poor Oscar the Daschund who was teased by the other dogs, but becomes their hero in the end. This is a great book, but best used with older kids as it is slightly longer, and younger kids will miss a lot of the humor. Pumpkin Trouble is another humorous book from Jan Thomas, this one telling the story of how poor Duck got stuck inside the pumpkin he had hollowed out and is mistaken for a pumpkin monster by his friends. I like this book, but sometimes felt I had to do too much explaining for the kids to get what was going on and why it was funny, so it might be better for slightly older kids. 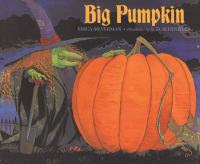 Big Pumpkin by Erica Silverman has a witch trying to pick her big pumpkin to make pumpkin pie, but she is not strong enough. One by one other creatures try and fail, until the little bat suggests they all work together. This story is cute and and has a great message about working together, but there is a lot of text so it is best paraphrased for younger listeners. This would be great for telling as a flannel board story as well. *For ghosts use tissues, napkins, scarves, etc. As expected this theme was a lot of fun, and for the most part, went really well. Everyone loved The Little Old Lady Who Was Not Afraid Of Anything, even if they had heard it already, perhaps even more when they had heard it before. 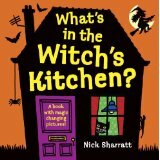 What's In The Witch's Kitchen? was also a big hit, and though I was hesitant to use it at first for fear some adults might not appreciate the goblin pee or rabbit poop, no one objected when asked. The "Little Ghost" rhyme was a lot fun and enjoyed by all. I used our movement scarves for the ghosts as I thought using 700 napkins or tissues over the course of the 2 weeks was a bit wasteful. The scarves were nice and airy and "float-y", and no one complained that they weren't white, though I did have to remind them we were not going to be choosy about colors and "You get what you get, and you don't have a fit". (I did wash the scarves after getting that much use). I have also started doing a "Letter of the Day" after realizing how poor a lot of these kids' letter recognition was, just using the first letter of the theme, so this time it was "Hh" for "Halloween". I just worked it into the introduction, asking them if they knew what the first letter was, showing them the letter, talking about what sound it makes, and a few other words with the "h" sound. One day I ended up with a small group of non-English speaking kids, which was a challenge. I did a simple lift-a-flap and the Snappy book, where they would say what it was in their language (not sure what it was; they were from Africa, but teacher didn't know which country), then I would say it in English and have them repeat (i didn't try to read all the text). They seemed to enjoy it and giggled at every picture. I did read "Mouse's First Halloween" so they would get some exposure to the sound, rhythm, and language of a story, even if they didn't understand it. Then we ended with "Little Ghost". Though they probably didn't have any concept of Halloween and didn't recognize some of our "classic" monsters, like the vampire, mummy, and Frankenstein's monster; ghosts, witches, skeletons, and pumpkins are apparently pretty universal. Unfortunately for me, the theme ended on a bad note when I visited my usual group that I do on my own (not with the Storytime Bus) today. They. Would. Not. Settle. Down. 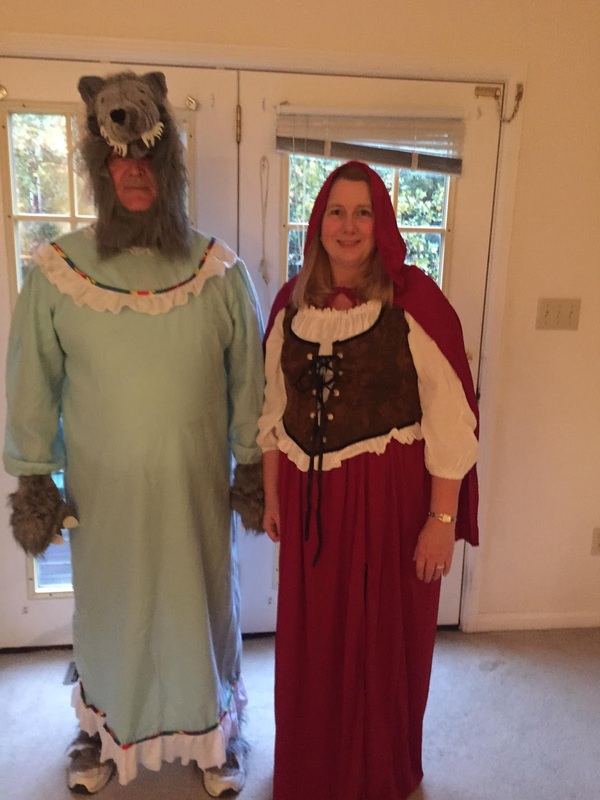 They were way too wound up, which I had feared would be the case with today being Friday, the day before Halloween, and the day of their class party. They kept asking for stories, but then would not be quiet and listen, and just kept talking and talking and talking. I did a longer than usual intro routine with lots of movement, gradually working down to sitting quietly, but it didn't help. Lesson learned: don't try to do storytime they same day they are having any kind of special event! It's just too frustrating and not productive. 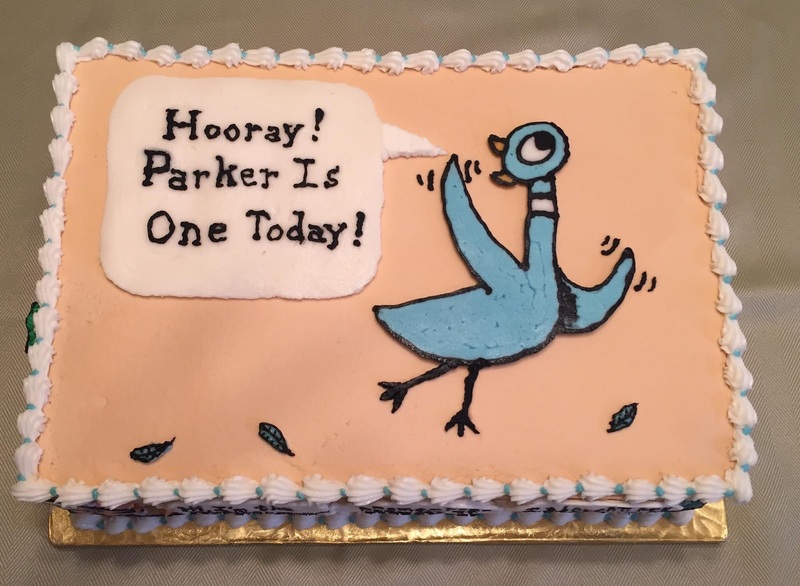 Several well-known children's authors released new books recently, several on the same day in fact. Here's my take on whether they live up to expectations or not. Where is Jumper? by Ellen Stoll Walsh. October 13, 2015. Beech Lane Books, 32 pages. Ages 4-8. 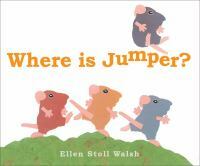 In this latest installment of Walsh's concept books the mice demonstrate and explore prepositions and spatial relationships as they look for their missing friend, Jumper. Is he inside the cave? Below the tree? Down the tunnel? Under the leaves? Fans of the previous books will enjoy this one as well and kids will enjoy Jumper's little adventure and guessing where he will turn up. 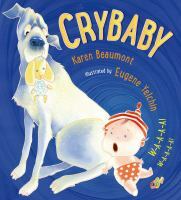 Crybaby by Karen Beaumont. August 18, 2015. Henry Holt and Co., 40 pages. Ages 3-8. 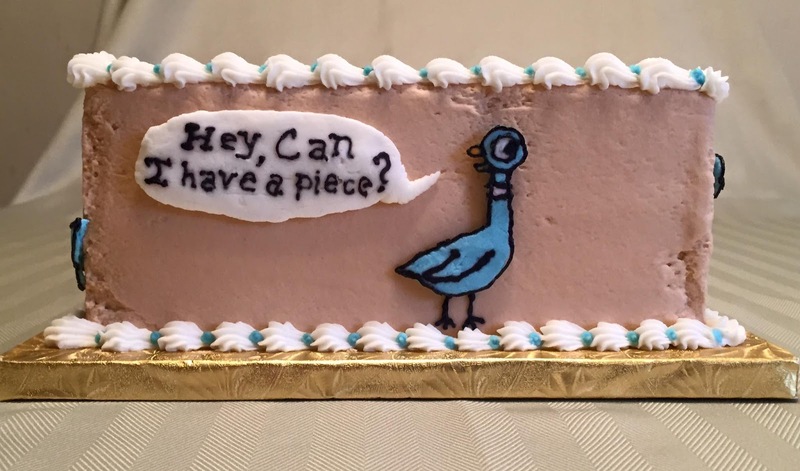 Baby starts crying and everyone is scrambling around trying to figure out what she wants. Roy, the loyal dog, knows what she wants, but no one will listen to him. Finally, after they have tried everything else, Roy finally manages to give her the toy sheep and she immediately calms and goes to sleep. 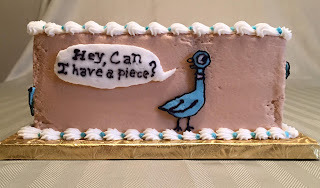 I thought this was very cute and would be good for a "Baby" themed storytime. The story is cute and funny, and children will appreciate that the dog was right all along. It also has a repeating line every time they try something new to quiet the baby, "But the more they tried, the more that baby cried," kids can say along to make it interactive, and they can also guess what will work. 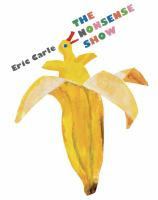 The Nonsense Show by Eric Carle. October 13, 2015. Philomel Books, 40 pages. Ages 3-7. A mouse chasing a cat? A lion training people? A rabbit pulls a boy out of a hat? What's going on here?? Pure nonsense, that's what it is. This book is a mix of absurdity and surrealism, intended to spark imagination. Click, Clack, Ho! Ho! Ho! by Doreen Cronin, illustrated by Betsy Lewin. September 22, 2015. 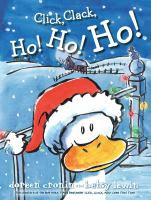 Atheneum Books for Young Readers. 40 pages. Ages 4-8. It is Christmas Eve and Farmer Brown is preparing for Christmas. Does he hear Santa on the roof? 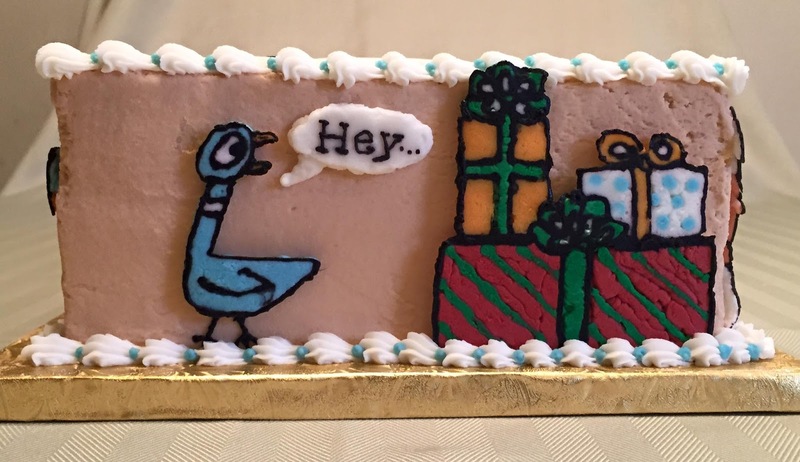 No, it is just that mischievous Duck, who has zip-lined onto the roof and promptly fallen down the chimney and gotten stuck. One by one the other animals zip over to try to help Duck, but of course they all end up getting stuck, too. Then a certain jolly old elf arrives just in time to rescue them all. 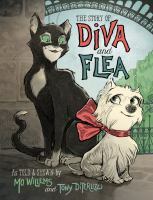 Diva and Flea by Mo Willems, illustrated by Tony Diterlizzi. October 13, 2015. Disney-Hyperion, 80 pages. Ages 6-9. Diva lives with her owner in a classic French building in the center of Paris, where she enjoys exploring her courtyard, but no further. Flea is cat who lives on the streets on Paris with no particular home, enjoying his life exploring and doing whatever he wants. One day these two meet and become friends. Flea teaches Diva how to explore and not to fear feet, taking her to see the Eiffel Tower. In the end, Diva convinces Flea to come inside her apartment, where he is introduced to the comforts of a real home, including regular meals. I did not realize this was an intermediate chapter book, rather than a picture book or early reader as I had expected, until it came in. It is inspired by real events during the time Mo Willems lived in Paris. I was also surprised he didn't illustrate it himself, as he is certainly a wonderful illustrator as well. The illustrations are very "French", reminiscent of the illustrations in Bemelmans' Madeline books. I found this to be a very sweet, endearing story of friendship that I'm sure many kids will enjoy, especially animal lovers. With Halloween coming up, I figured why not devote the whole month to some scary (though sometimes cute) fun and start with "Monsters", especially since there are so many cute monster books that are great read-alouds for this age. We started with our usual welcome song, introductions, and story song, then led off our Monster theme with a classic, Ed Emberley's Go Away, Big Green Monster! I don't know anyone who doesn't love this book. It is fun, with it's die-cut pages gradually building the monster's face, then gradually eliminating it as well, and I like that it gives the child the power to tell scary things to go away (and a good opportunity to remind them that monsters aren't real, just a product of our imaginations, therefore they can make them go away, too). It can also be very interactive. I like to let the kids fill in the blank, naming each facial feature as it's added, and then have them repeat all the "go away's". (His follow-up book, Nighty Night Little Green Monster is good for younger or really sensitive kids as the monster in it is a cute baby monster, and a good bed-time story). 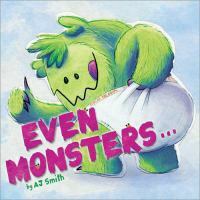 For our second book, I chose Even Monsters... by A. J. Smith which shows how monsters do some of the same things that children do, like put on clean underwear, finish their dinner, take a bath, brush their teeth, play soccer, even though they may do them just a little differently. I like how it ends showing that even monsters can get scared of the dark and need a good-night kiss from their mothers. There are opportunities for the kids to mimic the monster noises, such as growl, howl, snarl, and grumble. 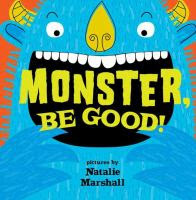 Then for our last book I chose Monster, Be Good by Natalie Marshall. I selected this book for several reasons: the illustrations are cute, just the right amount of text, can be made interactive, empowers kids over the monsters, and reinforces appropriate behavior. I especially liked the part where it says if a monster is being mean to just walk away and say good-bye, which is a great strategy for dealing with other kids who are not playing nice. I have the kids to repeat all the lines of telling the monsters to do something. I also like the book has a calm ending, with telling the tired, grumpy monster to go to sleep, then giving him a kiss (I have the kids blow kisses) and say "Goodnight". Then we ended with our closing song and hand stamps. The kids were really wound up today, but then again they are a particularly energetic, talkative group to begin with. Part of it was that it had been 3 weeks since I had been there rather than the usual 2 due to fall break, and partly the anticipation of Halloween. Because I thought this theme would be particularly fun and engaging for them, and the books I had were all pretty interactive and not very long, I decided to try doing 3 books this time. As expected they loved Go Away, Big Green Monster and they really seemed to enjoy Monster Be Good as well. They liked Even Monsters...., but had more trouble staying engaged and behaving appropriately and interrupted more with that one. I guess it wasn't quite interactive enough for this particular group, though some of the kids did really like it, and I've had groups in the past who really loved it. 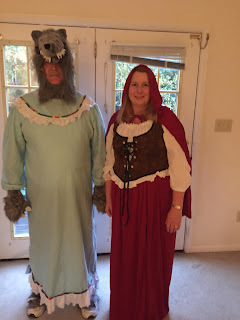 And of course they loved pretending to be monster for the "If You're a Monster And You Know It" song, and as they had gotten a little too loud with their roaring and growling previously, I made sure the classroom door was shut and reminded them to give a *quiet* roar at the end. Though they still need to work on their listening skills, all-in-all I'd say it was a very fun and successful storytime, and they handled adding a 3rd book pretty well.